Serious bacterial infections place a substantial clinical and economic burden and are a leading cause of morbidity and mortality associated with hospital-acquired conditions. The CDC has identified a number of bacteria as urgent or serious threats, including ESBL-producing and carbapenem-resistant Enterobacteriaceae, multidrug-resistant P. aeruginosa, and C. difficile. In response to the rising threat and burden associated with these infections, antimicrobial stewardship programs are now mandatory in hospital settings to fulfill quality improvement criteria. 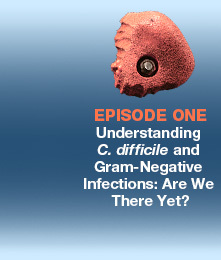 This program is designed to build competence, confidence, and skills in the management of MDR Gram-negative infections and C. difficile infection. 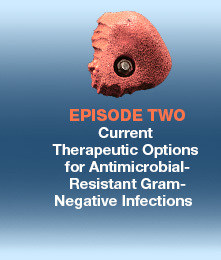 Expert faculty will review the latest approaches to treat these infections (e.g., optimized dosing, newer antimicrobials and alternative therapeutics) while also demonstrating how to incorporate antimicrobial stewardship strategies related to these infections. This continuing medical education activity is planned to meet the needs of pharmacists and physicians in a variety of practice settings, including large and small healthcare systems, outpatient clinics, managed care organizations, long-term care facilities, and academia. 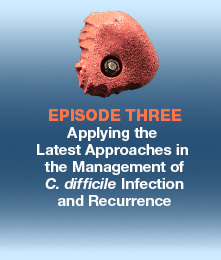 This program targets clinicians who are responsible for caring for patients with serious bacterial infections. May 11, 2017. 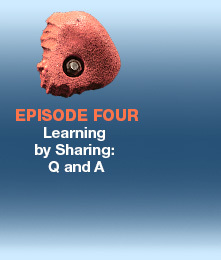 It is divided into 4 easy and quick to view episodes. Consultant: Pfizer Inc., Valneva, Sanofi Pasteur, Merck & Co., Inc.
Dr. Dubberke intends to discuss off-label uses of the following: Only oral vancomycin, fidaxomicin, and bezlotoxumab have FDA approved indications pertaining to CDI. All other treatments that will be discussed do not have approved indication. Dr. LaPlante does not intend to discuss off-label uses of any products.